You ain’t got time to dig into some of our artists’ vast catalogs---it’s confusing, intimidating and time-consuming, and we ain’t got time to answer the phone calls and emails asking “no, seriously, what are the BEST songs by the band?” These calls and emails cut into our nap time, and we get cranky without our naps. Thus, we’re launched CHOICE CUTS: a series of digital only releases wherein we take the best of the best and put them in one handy place for you. 12 tracks from all albums and compilations, painstakingly culled using Bloodshot’s Kwality Kalculator Algorithms (pat. pending). All killer, no filler, as they say. Get to know music by an artist you’ve never heard of, or get a dozen primo tunes from an existing fave all in one handy dandy place and at one friendly price. Wayne "The Train" Hancock. " Ride"
Slingin’ Rhythm is just right, a finely honed, day-in-the-life brand of juke joint rhythm sitting in the sweet spot of American music invention between country, hillbilly, jazz and western swing. 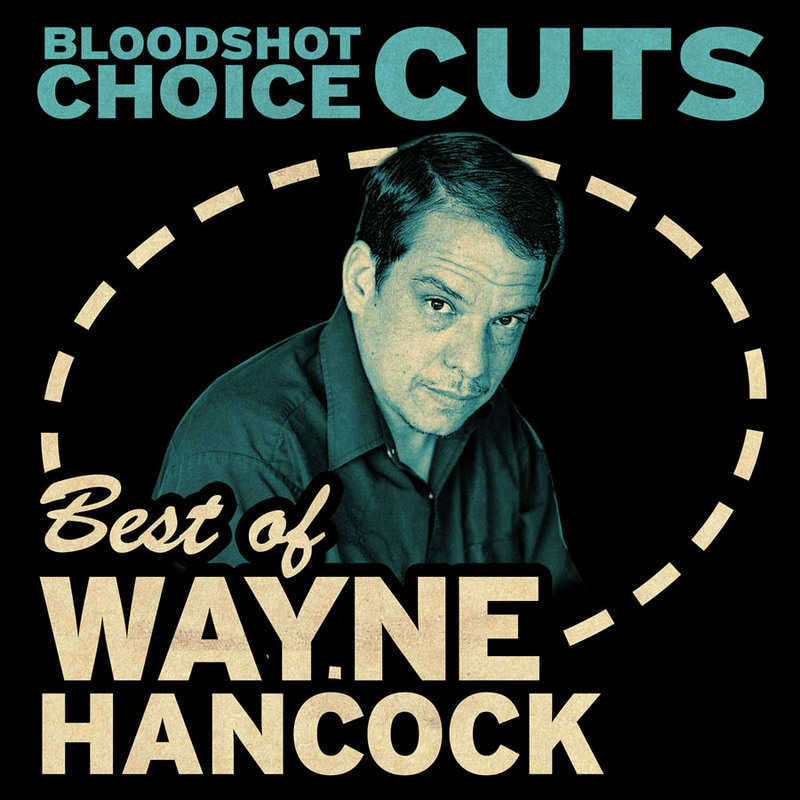 Songs for the lively, carefree honky tonk or just the open road that leads there---Wayne's a modern-day traditionalist with his signature mélange of roadhouse blues, hepcat boogie, rockabilly, and juke joint swing. Viper of Melody is played with an old school musicianship and a stand-on-the-edge-of-the stage immediacy that rockets out of the speakers.There ain't a problem that can't be solved by his brand of stripped down, intensely rhythmic amalgam of hillbilly, roadhouse blues, and high energy honky-tonk. Wayne personifies the two great American musical inventions, jazz and country, and Tulsa creates its own style of uncompromising western swing; as much Gershwin as Hank; equal parts Art Blakley and Bob Wills. Swing Time was recorded live over a few nights where he is most at home: the stage of Austin’s fabled roadhouse extraordinaire, The Continental Club. In the glare of the stage lights, Wayne and his tick-tight band kick it out and rescue country’s heritage from the clutches of the Nashville pretenders. Shows off Wayne's jazzier side. Hot guitar and trombone help Wayne expand his sound. The perfect 12 pack for any heartbreak! Pulled from all of Rex & the Boys' fabulous honky tonk anthems, this collection will have you in REAL country high heaven. MF'n OUTLAW country. Whitey and the boys play with a muscular attack and energy that fills the album with an edge that Nashville’s misplaced or forgotten entirely. The Sundowners’ music and love of life struck a chord with generations of music fans. They are true legends in Chicago and an important part of the city’s ongoing connection with country music. This disc scoots and swings, swoons and sighs, and leaves a greasy $20 bill on the bar as a tip. Perfect music to keep time to by banging a longneck on the bar. A wonderful grab bag of dancehall Western Swing, proto-rockabilly and a few ballads and novelty tunes thrown in for good measure. A quick scan of the song titles alone reveals that we are dealing with one unique talent.